'Rex Orange County' is Alex O’Connor. A self-taught drummer, Alex grew-up in outskirts of London in Haslemere, Surrey. 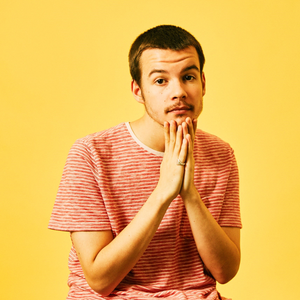 After applying keys, vocals and anything he could find to write loose-footed, fluid, personable songs about being bored and disillusioned, his self-produced eleven-track debut bedroom album ‘bcos u will never b free’ was released on September 2015. It was followed by the singles ‘UNO’ (2016) and 'Best friend' in January 2017.